POLICE are looking for a man they allege can be seen on CCTV footage lashing out at a security guard at Gladstone's Reef Hotel. A man can be seen being ushered from the Reef Hotel's Industrie Nightclub before allegedly striking a security guard. In the struggle the security guard received a number of facial fractures and was flown to Brisbane for treatment. Gladstone Criminal Investigation Branch officer in charge Luke Peachey said the incident happened after two men who were "acting unruly" at the premises were asked to leave. He alleged the man spun around and struck the security guard as he escorted him from the club. 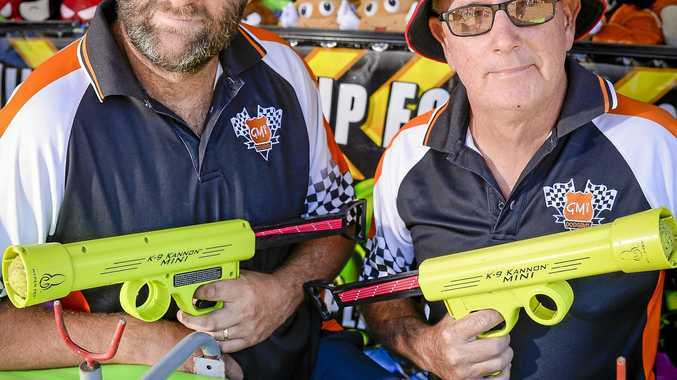 "The male security guard suffered a number of facial fractures, including a right eye socket, cheek fractures and nasal fractures," Det Snr Sgt Peachey said. "This is a very serious assault." Det Snr Sgt Peachey said the security guard had not yet been able to return to work. The incident occurred on July 2 and police are appealing for information about the identity of the man and another man wearing a Queensland State of Origin jersey. The first man was described as being aged between 30 and 40 and stocky, with light-coloured hair. The other man who, in the footage, appeared to be trying to pull the security guard off his attacker was taller and balding. Industrie Nightclub assault: PRIME SUSPECT: A security guard at Industrie Nightclub was left with multiple face fractures after a man punched him in the face. After the attack the men fled the club. 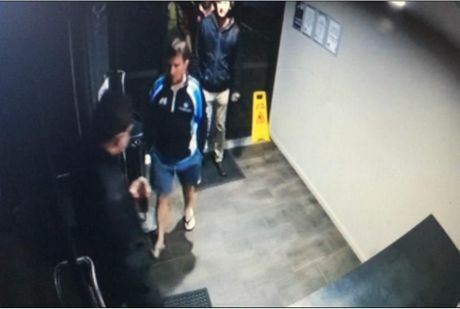 Police also released footage of what they say are the men entering the pub, which carries clearer images of them both. It's understood the ID scanner at the Industrie Nightclub was not working on the night. Anyone with information is urged to contact Gladstone police or Crime Stoppers on 1800 333 000.